ownCloud will be present @ 2017 FOSDEM in Brussels from Feb. 4th to 5th. You’ll find our table at K (level 1, group C). Meet our managing director Holger Dyroff, senior developer and packaging manager Jürgen Weigert as well as our senior support engineer Carlos Damken among others and ask them anything about ownCloud. 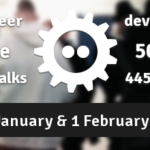 FOSDEM is a free event for software developers to meet, share ideas and collaborate. Every year, thousands of developers of free and open source software from all over the world gather at the event in Brussels. FOSDEM 2017 will take place at ULB Campus Solbosch on Saturday 4 and Sunday 5 February 2017. The full schedule and list of stands are now online. ownCloud is an open source project. That means it is yours. 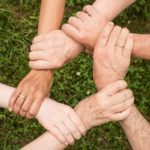 You can study, improve and share it however you like. 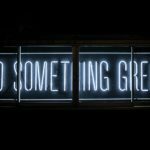 Do you want to get a certain improvement in ownCloud? Did you find a problem? Do you want to help translate, promote or document ownCloud? Become part of the ownCloud Community and help us liberate data across the globe! Each contribution – either code, bug report, Q&A, … – will be valued with some exclusive swag. So make sure to see us in Brussels!